Say hello to Colonel Sanders when you board Japan Airlines (JAL) flight next time. 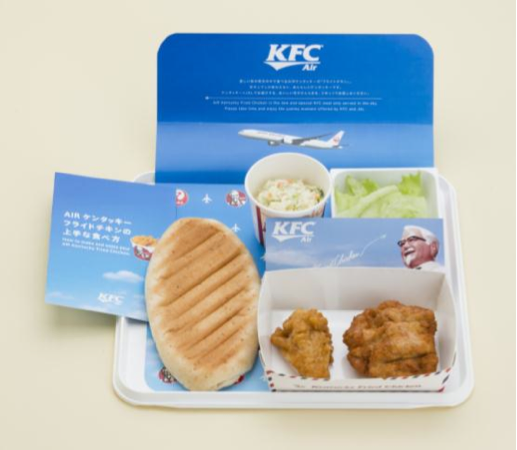 JAL announced today it is going to collaborate with Kentucky Fried Chicken (KFC) Japan to serve Air KFC on select international flights departing from Japan between December 2012 and February 2013. 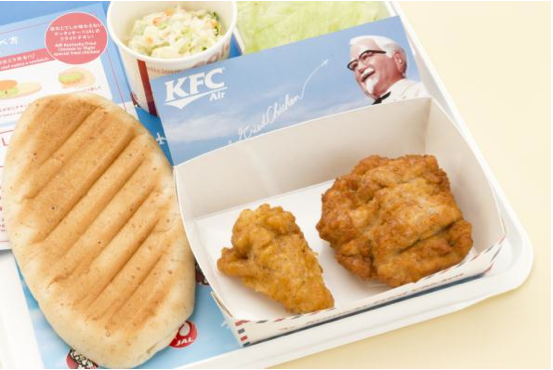 Air KFC is the 7th dish in the popular JAL Air Series which JAL cooperates with popular restaurants and food chains in Japan to bring familiar tastes onboard for its customers. JAL has done lots of researches to preserve the same taste and texture of KFC up in the air. Keeping it crunchy and serve towards the end of a 10+ hours flight is not an easy task. But finally JAL has figured it out and Air KFC was born! So what's in Air KFC? There will be two pieces of fried chicken made with KFC's secret 11 herbs and spices. One of them is a boneless chicken breast while the other is a bone-in drumstick. And of course it's not a JAL Air Series dish without some fun when you eat that. Similar to other dishes from the JAL Air Series, you can enjoy the dish in multiple ways. One of them is to make a chicken sandwich with the special flatbread that comes with the chickens. JAL has designed this flatbread with a unique texture and shape just for this. You can add lettuce and mayonnaise on the bread as you like (or even do some painting on it just like what kids would do :P). Of course you can just eat the fried chicken, flatbread, lettuce and coleslaw separately too. Of course the dish will come with special packaging too. You will see Colonel Sanders face on every box :) This is specially designed for Air KFC and is not found in store. This is not the first time JAL has collaborated with a not so Japanese chain for the Air Series. When JAL launched the Boston route back in April, it collaborated with popular donut store, Mister Donut, to serve Air MisDo on the flight to Boston. But that was just limited to one route. 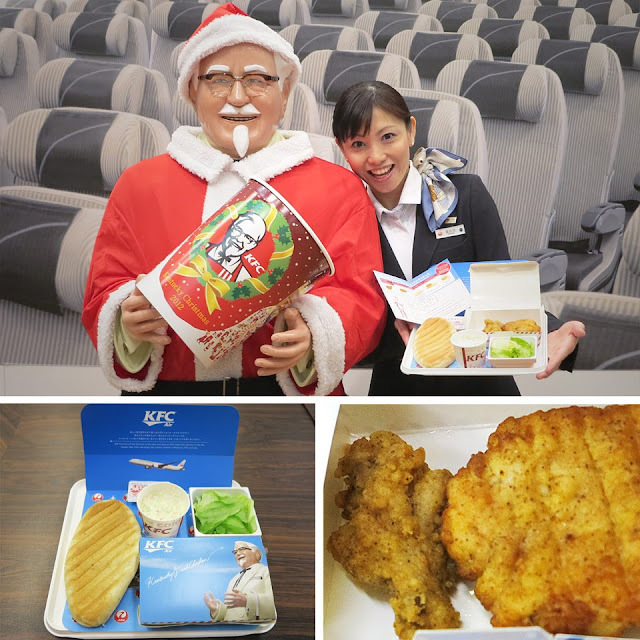 This time the non-Japanese Air KFC will be served to a lot more passengers. And KFC was chosen because apparently people in Japan likes to eat KFC especially during Christmas season!